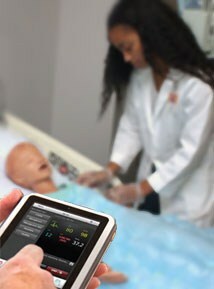 Nursing Kid provides training targeting key skills specific to pediatric care providers. Nursing Kid is designed to meet the training requirements for pediatric patient care and helps facilitate delivery of consistent simulations into nursing curricula. 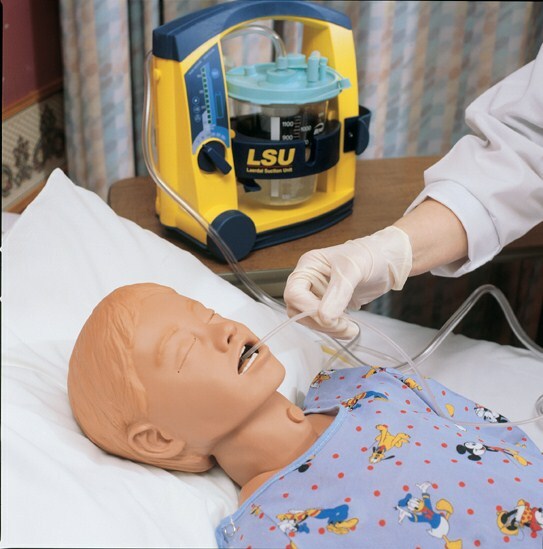 Nursing Kid operated via the SimPad PLUS System will improve your ability to deliver highly effective simulation based training and achieve your learning objectives. Nursing Kid (p/n 350-05050) is a training manikin realistically representing a six-year old child. He is designed for skill and scenario-based training of a complete range of pediatric care procedures. * SimPad PLUS System (200-34001) and LLEAP for SimPad PLUS software (204-50150) is required for operation. Sold separately. Utilize SimDesigner, a PC software tool, for creating Automatic Mode Scenarios with States and Interventions, Trends and Handlers. Utilize Theme Editor, a PC software tool, for developing Manual Mode Themes with States and Interventions. Store approximately 100 Themes, Scenarios, and Log files on the SimPad device.